Lately I have been on a book reading kick, and it is my goal to read at least one good book a month. If any body has some book suggestions, please leave a comment. 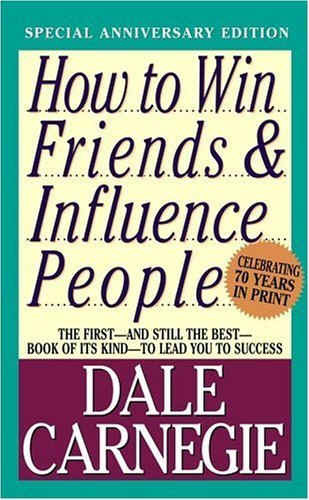 Recently, I have read “How to Win Friends & Influence People” by Dale Carnegie. This is one of my favorite books I have read it a number of times and I would highly recommend it. This book was originally written in 1936 and has been revised since. It amazes me that the principles found in this book still holds true today. As you can see, the principles aren’t new but are principles I personally tend to forget to apply. Not only is it an interesting, engaging, easy read, but also a great self reflection book. It is my goal to be able to master the principles Dale Carnegie taught. I know as I do, my relationships will be stronger and deeper. 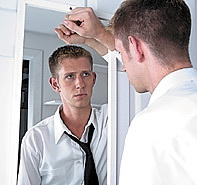 If you are looking for ways to improve your relationships, or just looking for ways to improve yourself. I would highly recommend picking this book up. As you start to apply the principles, you will find out more about yourself, and as you apply the teaching your relationships will enhance. I know because this is what it has done for me.